Ubidots users and resellers have the flexibility to manage their end user monthly usage using Limits, a powerful feature that enables Administrators to set a maximum quota of Ubidots features. For example, an Administrator might only allow an end user the maximums: 100 emails, 500,000 dots, and 10 devices per month. 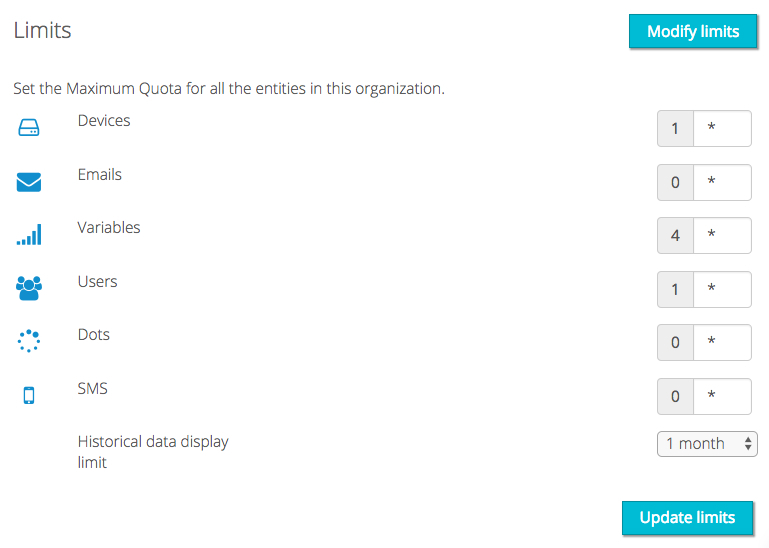 From your Ubidots account, Organizations -> select an organization -> Limits (found in the left pane). 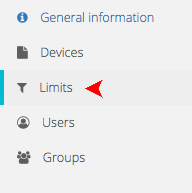 Next, click the "Modify limits" button and adjust appropriately. All limits are expressed as ( "n" active | "n" allowed ). Save your changes with "Update limits."